I needed a reliable letting/management company to assist my client in rental of a few properties. Resorted to Google! ASR reviews were very good & I was impressed at arranging a meeting on the same day for a viewing/survey in November 2016. Ajay was honest in his appraisal & that before Xmas is quiet. He followed up weekly with calls and even how many hits on the website! 1st week in January Ajay called with a viewing - tenant attended again during the day for a 2nd viewing & took the property. I decided to go for rent guarantee & fully managed. In light of the service from Ajay & piece of mind with the rent insurance. Ajay was on hand at all times replying to emails promptly and offering practical advice. I was able to compare with another company who I also commissioned who were not professional & did not feedback tenant comments despite having half a dozen viewings. Their moto was just get tenant in! ASR have been welcome & reasurring surprise to me. At each stage professional & reliable. ASR also look out for the tenant too by ensuring Landlords comply with legislation. I hope to use ASR again in the future & highly recommend their services if you want a professional reliable service. There is a star in your office and she has a woman's intuition. I had absolutely no intention to utilise the services of an agent to market my property, a few offered but I did not see the need because of the demand in my area, but Sapna was able to close me on the phone by offering me a worry free agreement, secured payment and confidence in a service tailor made for the customer. I then lost confidence in my own ability and chose ASR as my agent. Sapna's intuition kicked in again with a recommendation to offer a rent bargain for a few months, and within the week she secured interest and a contract! I am an electrical contracting company who provides electrical services to ASR Property Management on a regular basis. From my point of view the working relationship with ASR works extremely well due to the fact the team are so well organised & provide a proactive service. During the time I have supplied my services to ASR they have shown they command a very highly in depth knowledge of the property management industry overcoming all levels of procedures to be instated in extremely problematic situations. The professionalism of ASR follows through to helping me provide an efficient reliable service keeping to high standards within my own industry. I have been using ASR for almost 3 years and I can honestly say they have been an absolute pleasure to deal with. The whole process was hassle free and smooth from start to finish. I have dealt with letting agents in the past and I have not been happy to say the least with the service I had received and the additional costs they added on without my consent. However the communication from ASR was second to none and there were no surprises, just straight forward great service. Their professional and reliable service gave me peace of mind that my property was in good hands and would be well looked after. I would definitely recommend them to my friends and family. 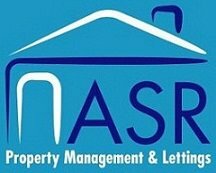 ASR are the 4th Property Management and Letting Agents that I have employed. My experience with the previous three companies almost led me to manage my properties myself, as the sevice that they had provided varied between minimal and, quite frankly, negligent. This all changed when I appointed ASR. They are pro-active, professional and friendly. I now feel that my properties are being managed properly, inspected regularly, my tenants are being looked after well and repairs managed promptly and efficiently. In fact everything I looked for in a property management and letting agent I found in ASR. I have no hesitation in recommending them. We have a number of properties which we have tried to maintain, whilst leading busy professional lives. A colleague recommended ASR Properties on the basis of providing a professional service with very competitive rates. Since appointing them, the service provided has been excellent. Communication and efficiency has been outstanding, the rates remain very competitive indeed and they have taken away the burden and stress of property management completely. Highly recommended if you wish to have your investment maintained properly for a fair cost. I have been with ASR Property Lettings & Management now for just over a month and I have been very pleased with their service. They were able to find me a viewing within the 1st week of it being on the market and got it rented straight away. They took care of everything for me and acted professionally. They are managing my property well and regularly keep me up to date so any problems can be resolved promptly. I would strongly recommend ASR because they provide an excellent service to me and my tenants. ASR manage two properties for me and have done so for some years. They are totally professional, identify problems early and provide solutions promptly if necessary. Their day to day administration is impeccable and I have total faith in them. I moved to Spain two years ago and it’s particularly important to me that I have confidence in my letting agents. I rest easy in my bed knowing that Ajay and Carole are looking after my interests and have no hesitation in recommending them to any landlord. I have properties all over the UK and three of these are in the West Midlands and are managed by ASR Properties. ASR are thoroughly professional and do a really good job for me whilst retaining a very friendly “can do” attitude. They make letting property look easy but I know from experience that they do a lot of work on my behalf and keep my properties occupied and the rent coming in. I have have worked for a few letting agents now and I can say that ASR has been one of the best from a contractors point of view, with correct information of problems and contact details of the Tenant, this then makes my work a lot easier to complete, this then benefits both Tenant and Landlord. We have let a small flat for several years without problems but recently had difficulty in finding a suitable tenant. ASR properties provided a very competent, courteous and prompt service and found us an excellent tenant within a week. We were impressed by their standard of service. We have employed ASR on a ‘Tenant Find’ basis for many years. We have found them proactive in marketing our property and very helpful should any problems arise. Very helpful, efficient and would recommend! I have used ASR for the last 10 years as for a tenant find service. I find them very professional and easy to deal with. Nothing is too much trouble and their expertise in placing a tenant quickly has been second to none. I have used ASR Property Services for the last 8 years and they manage a number of properties for me. I have always found them to be both professional and efficient in all matters. I would highly recommend them as letting agents. Ajay and his team have consistently offered me sound advice and value for money lettings management for six years. Their local knowledge and understanding of the market is of huge benefit to me as a remote landlord. One of the best letting agents in West Midlands – strongly recommended to all who are looking for honest and friendly service. As a client of ASR Properties I have always found them to be courteous, dependable and prompt in all my dealings with them. Very professional! No complaints. Very Satisfied landlord.